Renovations are getting real, y’all. Wanna know how real? 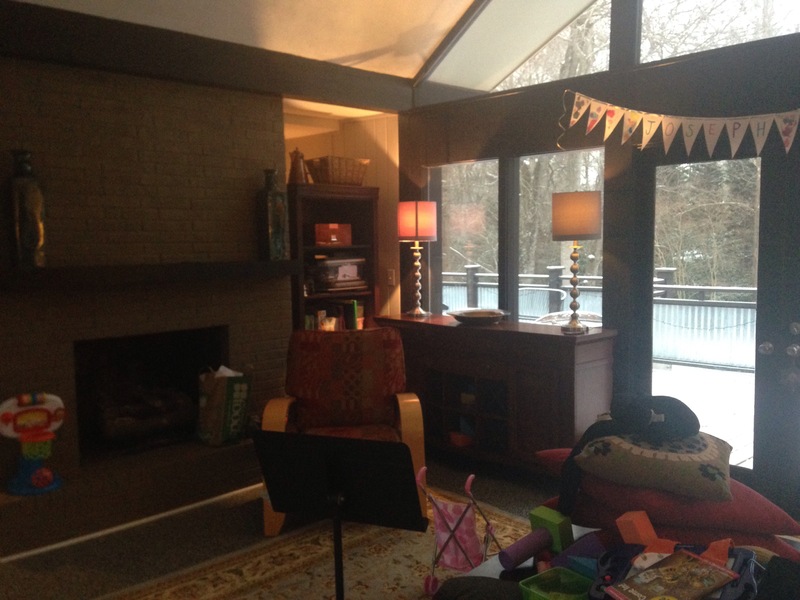 The basement renovation just turned into a home renovation… as in, it’s no longer contained in the basement. Hubby had this idea early in the process to open up the stair well (right next to the living room) so that it was a whole open space, and you could stand in one place and see to the other. I promise there will be pictures once it’s opened up to explain it, but that’s the best I can do for now. Anyway, what started as a crazy idea has morphed into a possibility, and now a reality. Anyone who has been to my house knows that the living room and kitchen are the most beautiful spaces in our home (as we wanted them to be!) and now it may completely change looks. I think it will still be beautiful, but I’m also a little nervous, because I don’t want it to take away from the look we’ve got going at the moment. Anyway, the tearing out of most of the wall will be this Thursday or Friday. That TOTALLY happened fast. I had only just reconciled myself to the idea of doing it at all, and our architect suggested we get the demo done before the stairs and floors were finished downstairs, so that we wouldn’t get the dust, etc all over our finished spaces. That means the living room basically moves into the kitchen (there’s no room in the bedrooms with everything we moved up from the basement), we’ll stack the art against the far wall, roll up the rug, cover things in plastic, and cross our fingers that nothing is dirtied up irreparably. We’ve started to move things out of the way already in preparation. 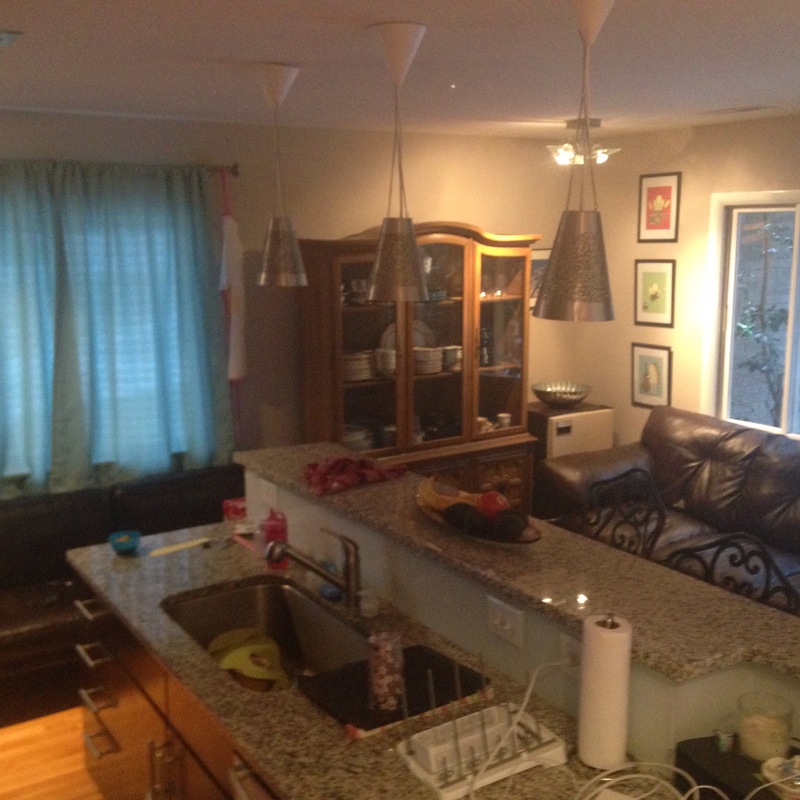 Two couches in the kitchen? Okay. 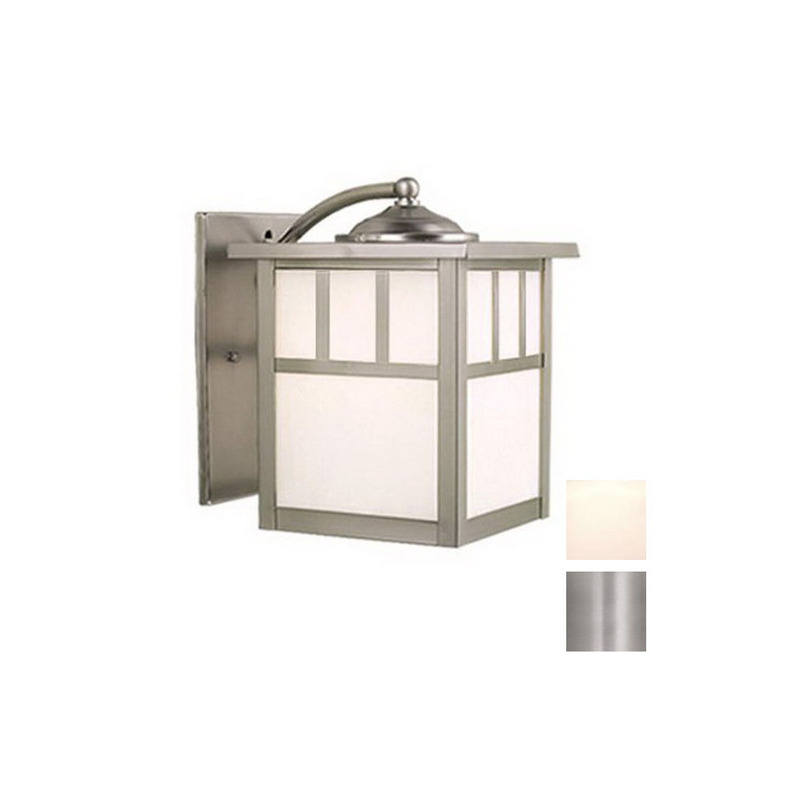 That being said, I went yesterday to buy our outdoor light fixtures and our big pendant light for the stairwell. I’m excited for fun, modern light fixtures in our home. I’m also on the hunt for something else to go over our dining table. I’ve hated that fixture ever since we moved in, and I’ve gotten used to it, but while I’m buying lights I might switch it out! This is the light that will be at the outside doors in the basement. It’s from Lowe’s! 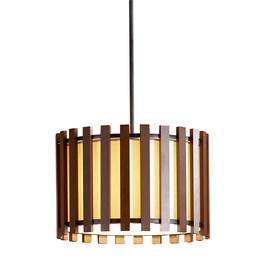 This Allen + Roth pendant caught my eye immediately, and it’ll be the one in the stairwell. Also from Lowe’s! My biggest prayer for us at this point is that we survive a little bit of craziness upstairs. The actual building upstairs won’t start for a couple more weeks (after cabinets and tile are done downstairs) so we will be living with a plastic-and-plywood-covered hole in the wall. Eh. At least we can live around it! Has anyone been through a home reno that totally displaced their life? Do you have any advice for us, as our situation gets a little bit worse for a couple of weeks? Wow, you seem pretty calm about it! I would be having a conniption. I don’t do well with construction in my house. Every time my husband starts a project I am right behind him with the vacuum. I can’t stand the dust!. Good luck. Can’t wait to see the finished product! I definitely am trying to be calm. It’s hard! I know things will be dust-covered and that I’m going to have to deal. I keep on reminding myself that this too shall pass and I’m going to love the result of our craziness!